WILL the row over the Gillette advertisement prove to be a turning point for men Terry Brennan asked this question in TCW just over a week ago. Now that, thankfully, Jordan Peterson has taken up the baton, Terry may get the answer ‘Yes’ to his question. 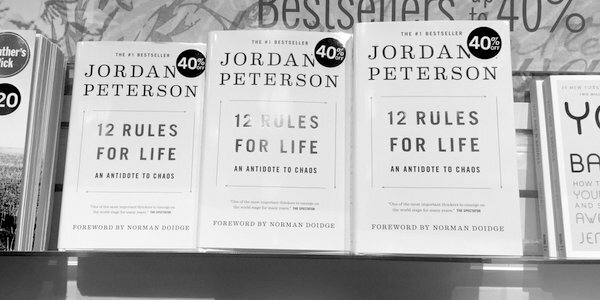 Peterson does not mince his words: ‘Make no mistake about it: this document constitutes an all-out assault on masculinity, as such – or, to put it even more bluntly, on men’. It has disgraced the profession. His is an excoriating and important intervention. The APA guidelines, Peterson says, are laden with concepts ‘that constitute the axioms of a primarily political viewpoint’, yet give no acknowledgement of this. They are full of prejudice and dogma. This field of psychology is fatally compromised. He asks why should anyone care? First, we all will come into close contact with mental illness during our lives. Estimates are that one in four adults and one in five children in the US have a diagnosable mental disorder that impairs normal functioning. These people risk ‘corrupted’, unethical and ideologically motivated treatment of which the net effect ‘will be to radically decrease the probability that any man or boy with any sense will go anywhere near an APA-approved psychologist, or dare as an ambitious and interested undergraduate to enroll in an APA-approved clinical psychology program (which are already, by the way, overwhelmingly dominated at the graduate school level by women)’.